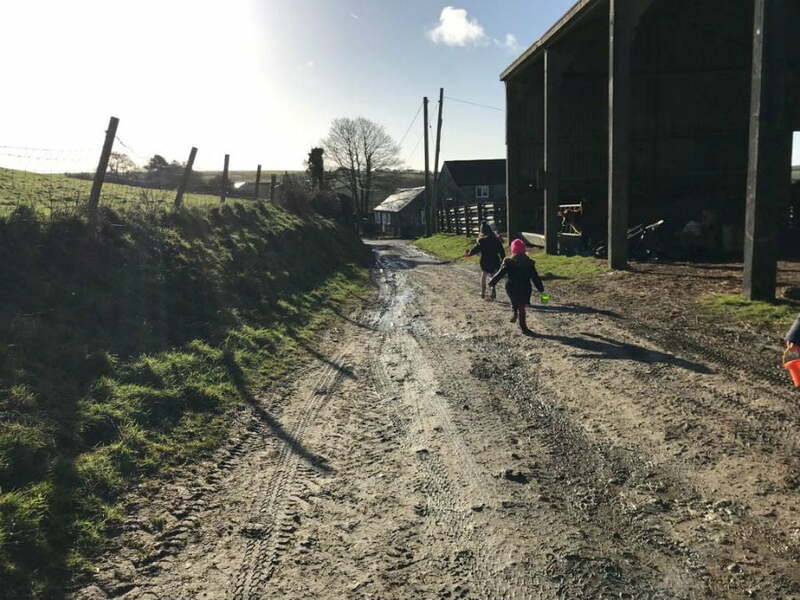 My friend, Heidi, and her family have just returned from a 4-night break at Nettlecombe Farm with her husband, 2 young daughters and her parents. 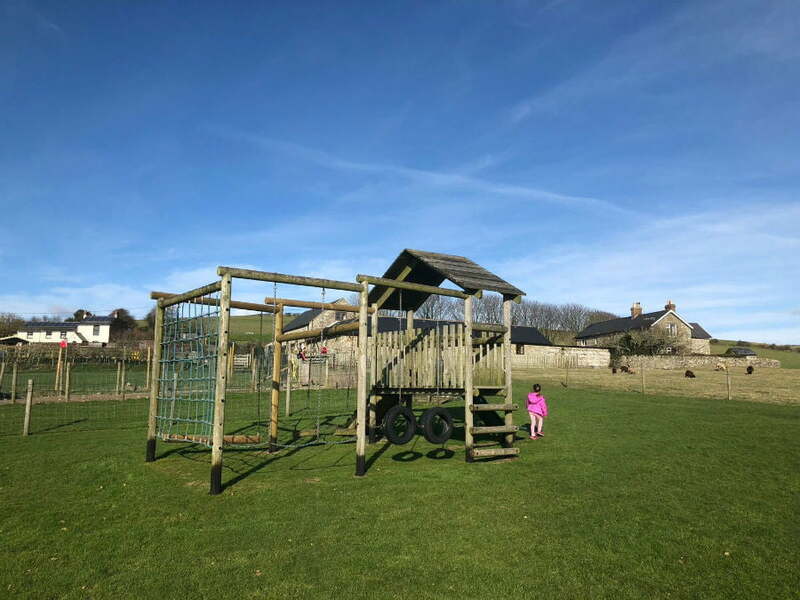 In this article, she is going to explain why Nettlecombe Farm is a great place for a fun filled break for toddlers, older siblings, their parents (and grandparents!). We travelled from Portsmouth to Fishbourne with Wightlink ferries. The boarding was efficient, with a drive through check in. The main passenger deck has plenty of seating and panoramic views out across the Solent. The open top deck is good to visit to blow away any cobwebs. 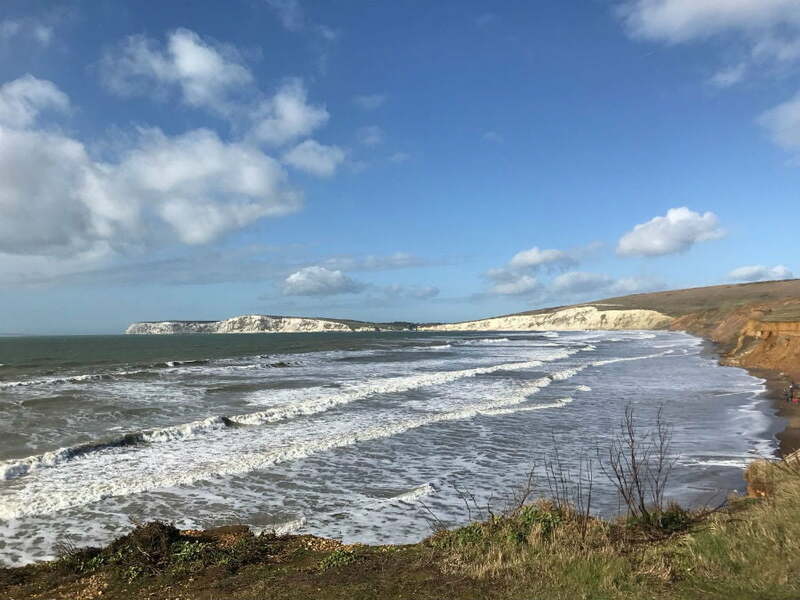 Portsmouth to Fishbourne takes around 40 minutes – which just about gives time to enjoy an Island roasted coffee and biscuits from the Wight Taste shop, where everything comes from Isle of Wight producers and suppliers. Some of the ferries have play areas for children, and baby changing facilities are available on all ferries. 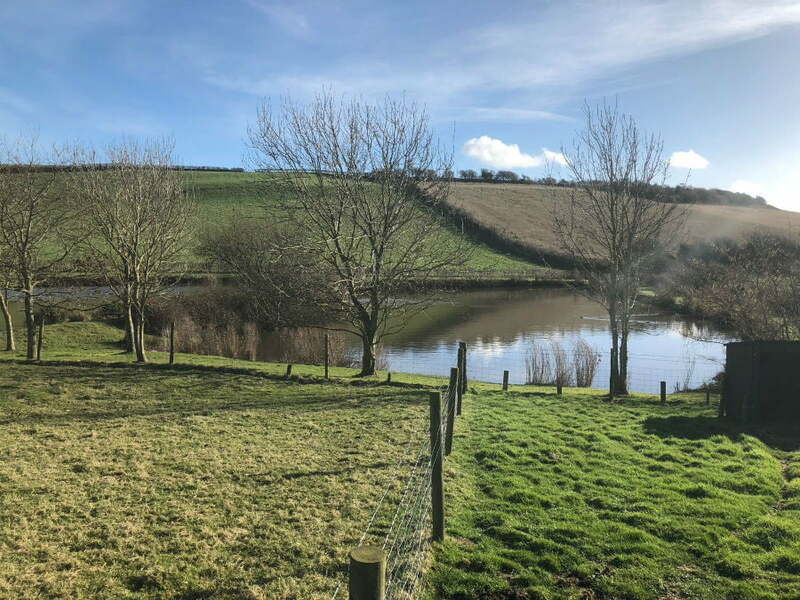 After disembarking at Fishbourne on the north of the Island, it didn’t take very long to travel to Nettlecombe Farm in the south. As the Island is just 23 miles by 13 miles, nothing is too far away and we got regular glimpses of the sea. 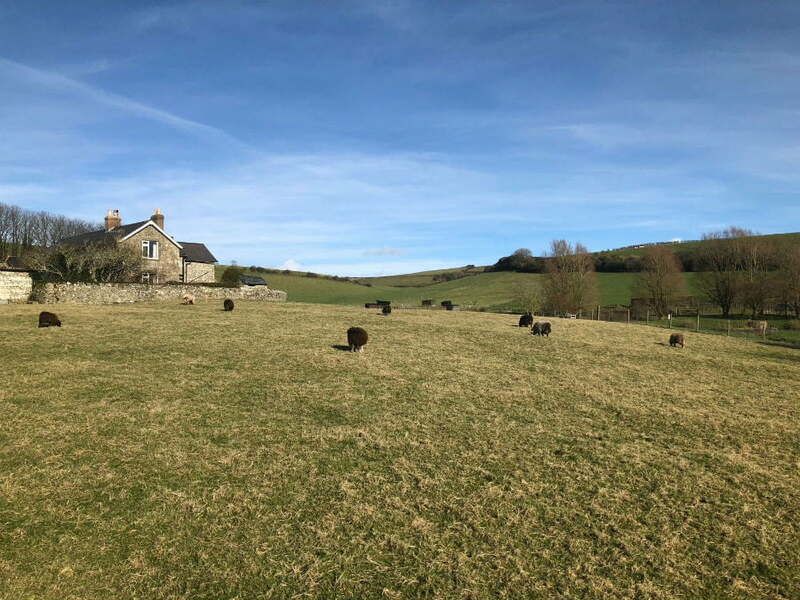 There are nine cottages on Nettlecombe Farm in varying sizes. 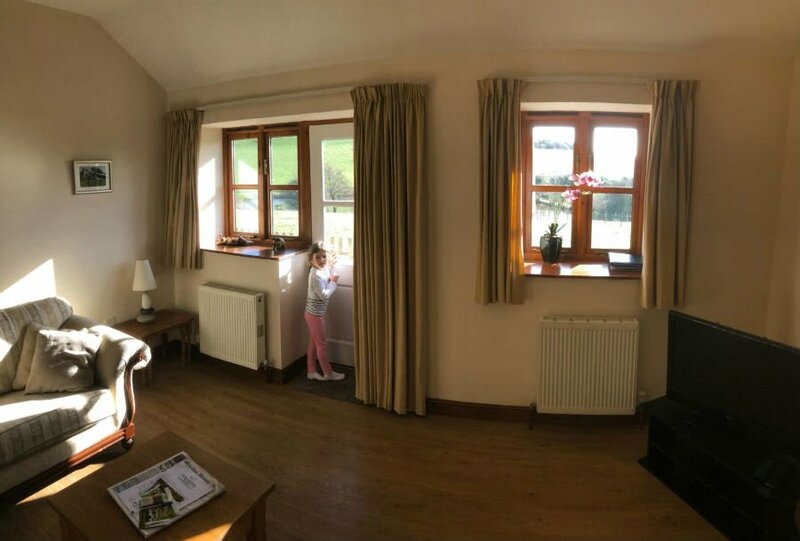 We stayed in Heron, a converted stable block, which was perfect for our family of 6. There were bunk beds for the girls, a super king ensuite bedroom for grandparents and a double room for us with a family bathroom. It also had a separate lounge, dining room and kitchen and plenty of outside space. 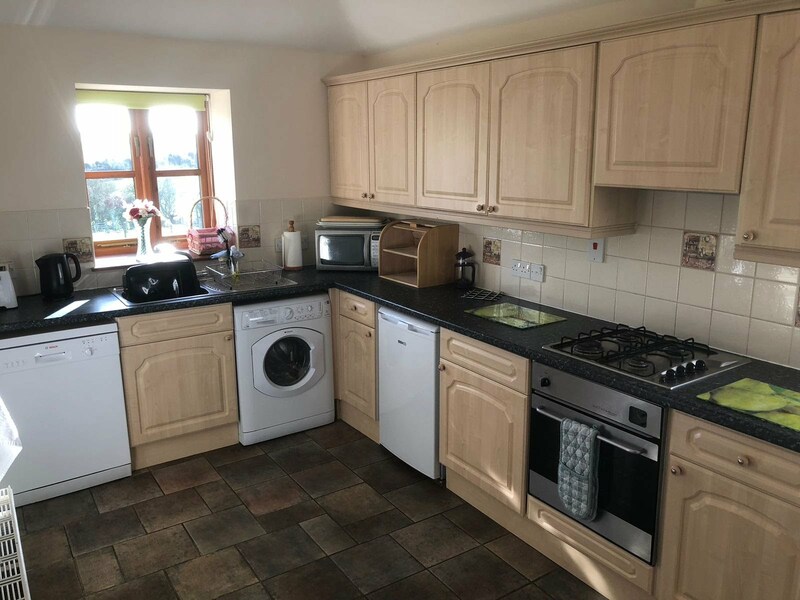 The kitchen has a dishwasher and washing machine, along with every utensil and pan you could wish for – even 2 frying pans which were useful on pancake day! For young children, there is plenty of plastic cutlery and cups available, along with a microwave. A highchair is provided in the dining room, and we found a sideboard full of jigsaws and board games for adults and children along with books. There was plenty to keep everyone entertained, and if not then there is always the DVD player in the lounge. The family bathroom has a bath and separate shower. Non-slip bathmats and a stool were provided. The views from Heron Cottage were amazing, with rolling hills stretching for miles. Outside a table and chairs and BBQ were available in the cottage garden, which would be perfect for a summer evening. 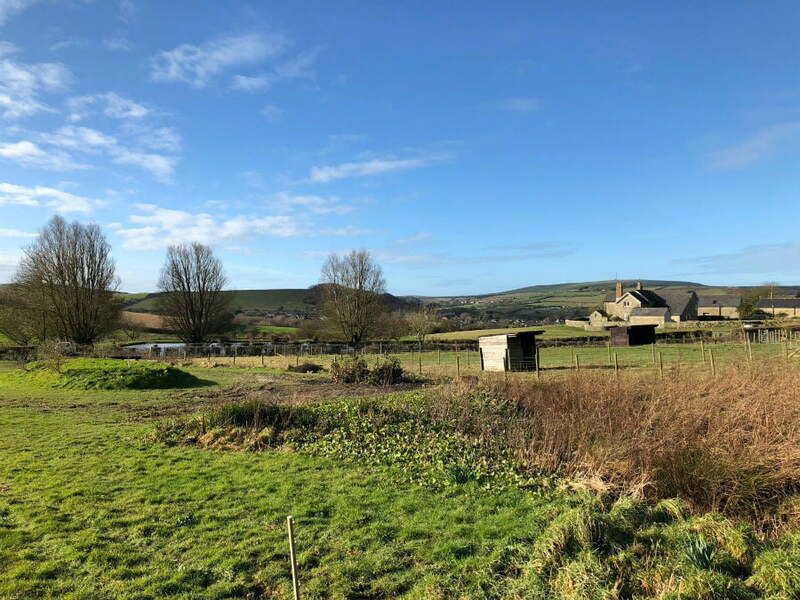 Despite the chilly weather, we still managed to sit outside to enjoy the views before retreating to the cosy lounge and enjoying the view from there! 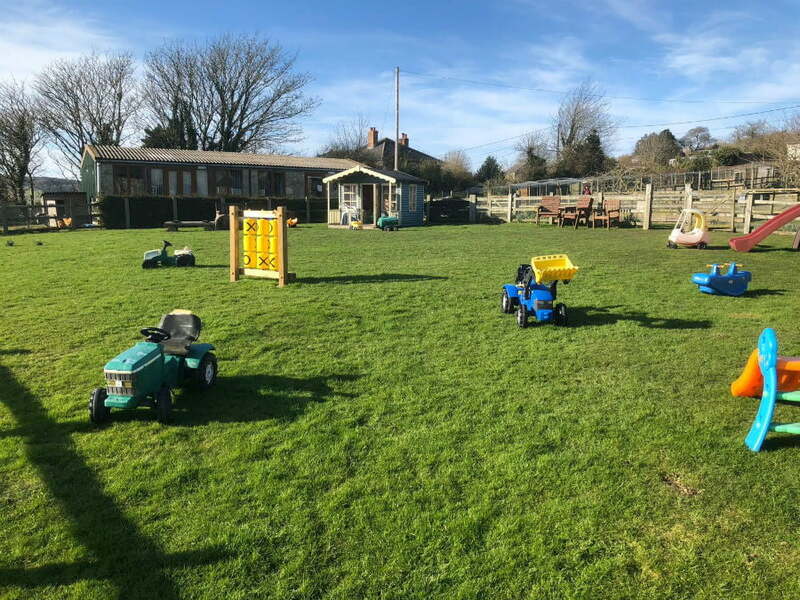 Directly outside the back door is a fenced children’s play area with a play house, mini tractors and other ride on equipment. There is a handy bench for parents to sit and enjoy the views whilst supervising the children. Next to the play area was our first glimpse of some of the resident animals, ranging from hens and peacocks to reindeer and Edna the Emu. We were told to meet Lucy by the playhouse at 8.30am if we wanted to join in with feeding the animals. Welly boots were essential items! 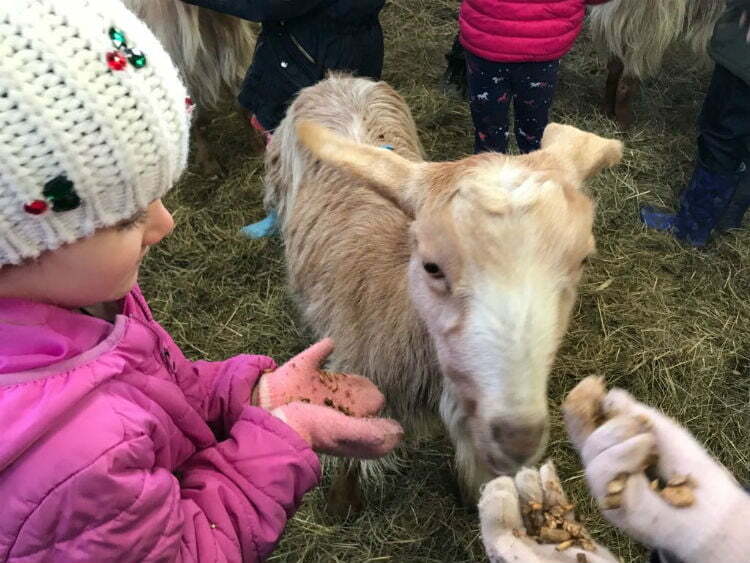 Lucy immediately learned all the children’s names and made sure everyone, down to the littlest member, had a turn at feeding all the animals over the week. She answered all the children’s questions and waited patiently whilst muddy puddles were explored. 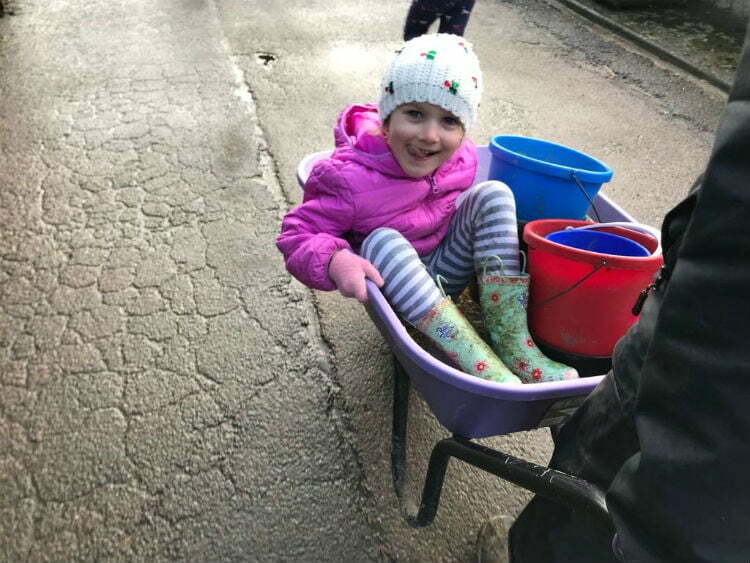 We started with the hens, and once each child had been issued with a small bucket and filled it with feed, Lucy let the hens out to a cheerful chorus of ‘Good morning chickens’. The hens knew where the food was and raced over to the children – a great start to the day. 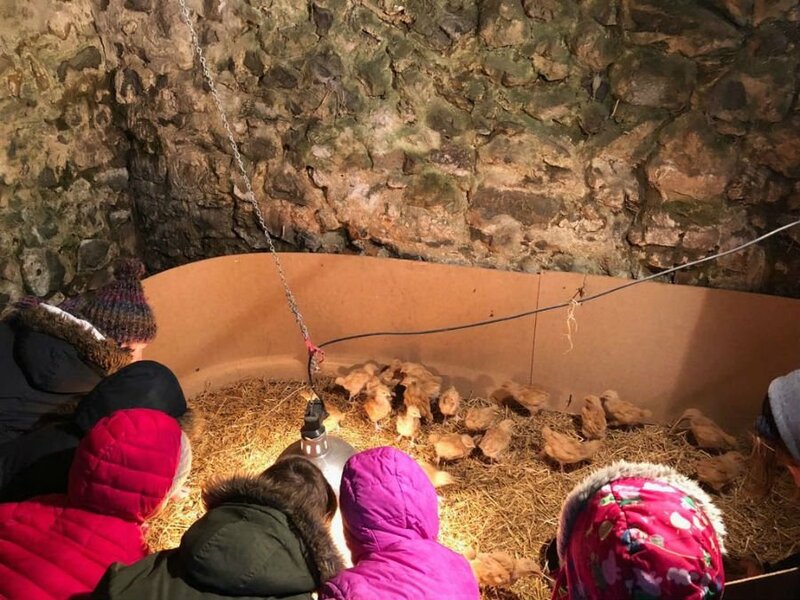 My youngest daughter was a little nervous on the first day, but I was assured by Lucy that by the end of the week she’d be getting in with all the animals, and sure enough two days later she was climbing in the hen house to collect eggs, and happily playing with the sheep. After visiting the hens, reindeer, peacocks and emu, the rabbits and guinea pig were let out for a stroke whilst their bowls were refilled – Willaby the lop-eared bunny was a favourite. 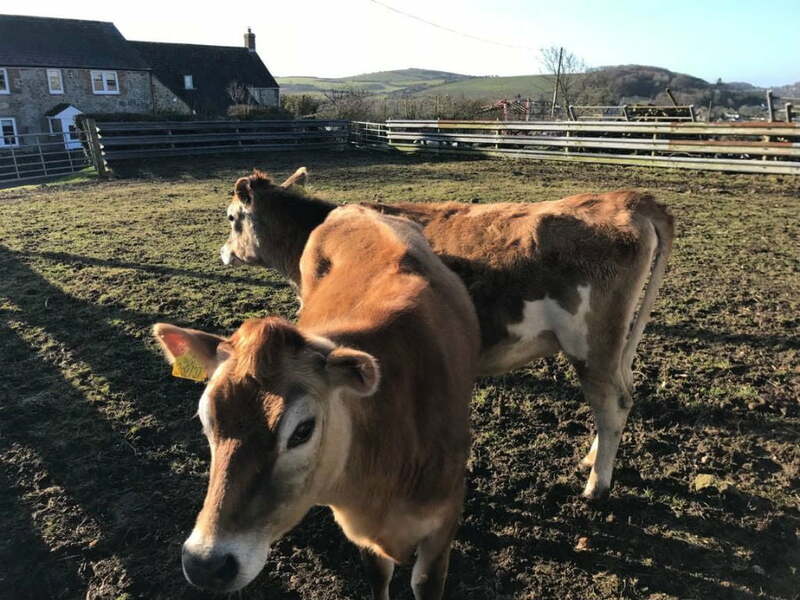 Then we went up to the cow shed, where a couple of jersey cows were waiting for breakfast – the older children weren’t sure about ‘cow slobber’, but the youngest toddler in the group happily fed them their breakfast. The next stop was the hen house to see if the hens had laid any eggs. The children carefully collected the eggs, and any broken ones went to Primrose the Pig! Then we went to see the friendly goats who were very keen for their breakfast, before heading back through the muddy puddles to visit the alpacas, donkeys and sheep. There are a dozen or so very friendly sheep kept in a field at the back of the cottages, so we were able to pull back the curtains in the mornings and say hello to Kevin, Barbara and Co. 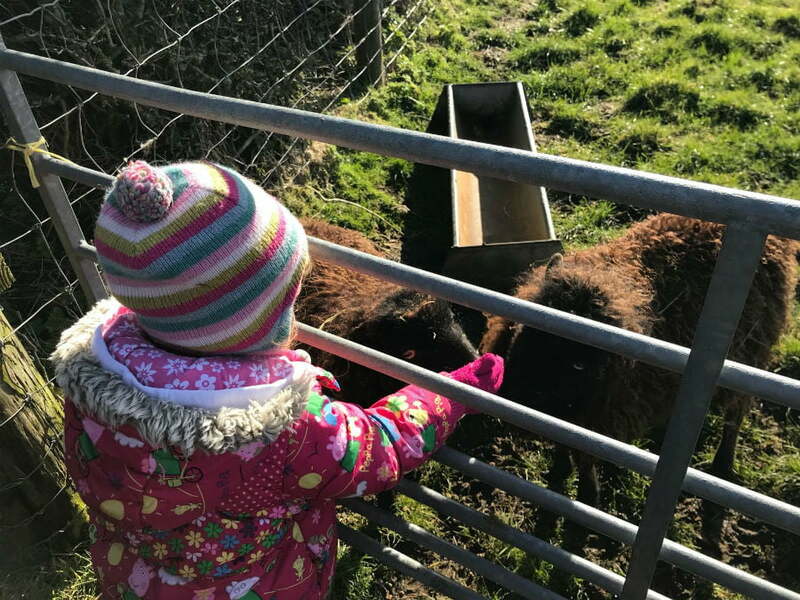 The morning feeding sessions were a firm favourite, lasting around 2 hours although as all the animals are only yards away from the cottages you are able to break off and return to your cottage at any point. The girls couldn’t wait to get started! 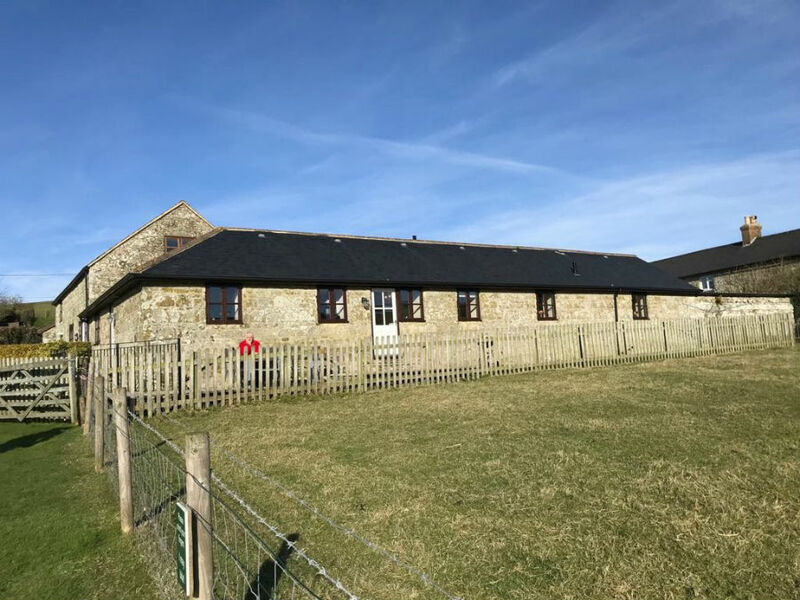 Situated between the play area and the hen house is a Yoga Studio with regular classes – see the website for further details. Eggs that have been collected by the children are available to purchase from the farmhouse. Delicious. 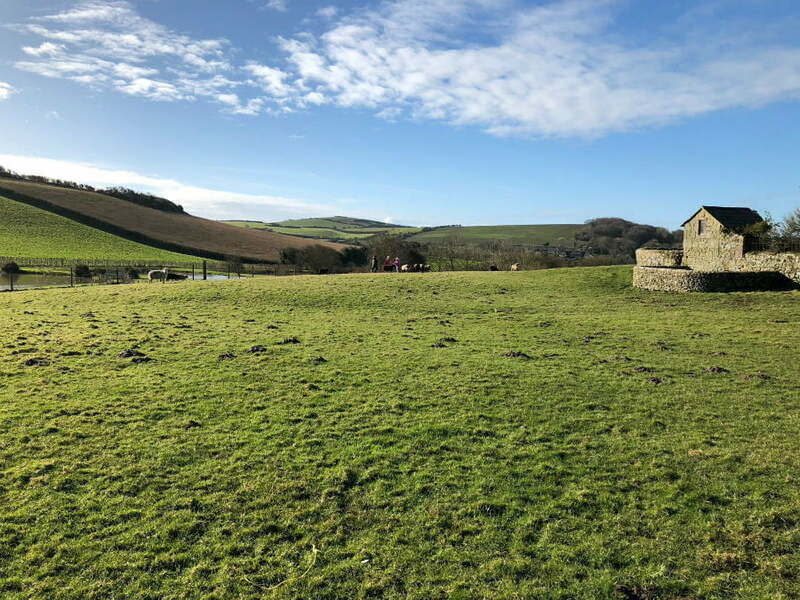 There is also a Yoga Studio at Nettlecombe Farm which offers at least 10 weekly Yoga and Pilates classes to guests. The White Horse Inn, over 500 years old is situated in Whitwell village, a short walk from the farm. 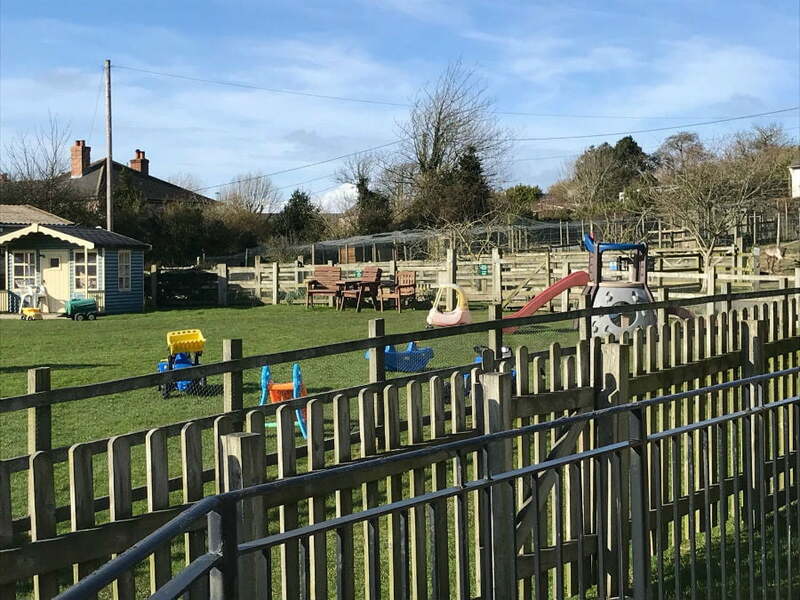 We enjoyed a delicious lunch – a children’s menu and high chairs are available, and there is a children’s play area in the beer garden. Norris family grocers are a short drive to get supplies or they can deliver to the cottages. 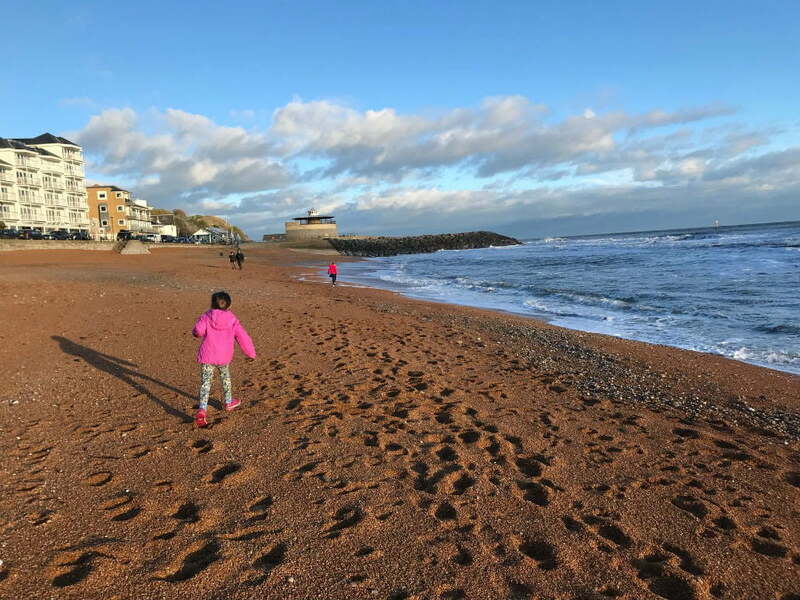 Nettlecombe Farm is also really close to the seaside town of Ventnor, where there is a long beach, and am outdoor paddling pool in the summer months. We had tea and chocolate fudge cake at the Spyglass Inn which is full of naval memorabilia. We also had great days out at Ryde and Yarmouth too. For more information about Nettlecombe Farm, or to book, please visit their website. Guests staying at Nettlecombe Farm can get discounts on Red Funnel and Wightlink ferry services. Just enquire when you are booking for more info. Sincere thanks to Nettlecombe Farm for a fantastic stay!